Texas District Judge Lora Livingston Tuesday ruled the state is not obliged to tell the public how much it pays in pensions to former members of the Legislature. Livingston turned back a lawsuit filed last October by the open government non-profit group Texans for Public Justice. The group originally filed suit to compel the state to produce a total cost for the retirement plans paid to 103 former legislators who currently work as lobbyists. McDonald said no decision has yet been made to appeal Livingston’s decision. Legislators themselves have spent the last decade passing laws that protect their pension information and prohibit the Employees Retirement System from disclosing it, McDonald said. In 1998 Texans for Public Justice asked for an opinion of then-Attorney General Dan Morales, who said the public was entitled to the pension information. A year ago, after federal income disclosure reports revealed Gov. Rick Perry was receiving a state pension worth more than $92,000 a year on top of his $150,000-a-year salary, there was a call for increased pension disclosure. And while the public learned that more than 6,000 state employees were drawing a state pension and a state paycheck, state law protected their identities. As Texas Watchdog reported last month, Rep. Chris Turner, D-Grand Prairie, has filed a bill that would end the practice of double dipping – but not for those like Perry who are already helping themselves. The group has tried with little success to lobby for a law that would prevent retiring lawmakers from moving immediately into the lobbying profession. A bill filed in the last session by Rep. Donna Howard, D-Austin, went nowhere. 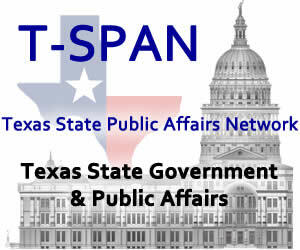 State Sen. Dan Patrick, R-Houston, has in this session filed Senate Bill 99 that would force a legislator to sit out two legislative sessions before doing any registered lobbying work.